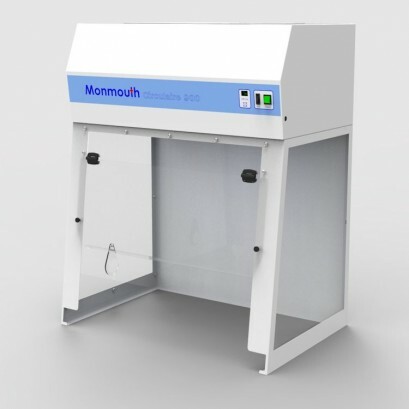 A Filtration Fume Cupboard, also known as a Non-Ducted or Recirculating Fume Cabinet, has a sole purpose of protecting an operator from both chemical vapour and particulates. The system incorporates efficient carbon filters for fume removal and/or HEPA filters for particulates. Unlike a Ducted system, the cabinets do not vent conditioned air to atmosphere, instead the filters purify the air before safely recirculating it back in to the laboratory. As a result, this reduces energy consumption and expenditure. Envirosafe Ireland provide the Circulaire® range of non ducted fume cabinets, which provide full compliance with COSHH regulations. It is supplied with a carbon filter or HEPA filter system, which will be matched specifically to your application to ensure the best possible containment. In addition to the compact footprint, the Circulaire range also boasts a large working aperture, integral low airflow alarm, low operating noise level, cable entry port and a unique carbon filter sealing mechanism with safe pre-filter change system.